I think I can honestly say that galaxy nails are becoming my favourite thing to do nail-wise. I mean, yes, this IS only my second time doing them - but what is there to not enjoy? I know I applied my sponging with a heavier hand this time - but I think it still looks like it should - and I like that! I think these photos might have a tad blurry - I do apologize for that! I have a "new" set-up for my photos and I will have to work out all the kinks.. Or maybe just start taking more photos.. 4 doesn't seem to be cutting it right now! I used: China Glaze Haunting as a base (must say: this polish is stunning! Yeah, I know, just black with some silver glitter - but it really is close to perfection - especially for a galaxy mani! 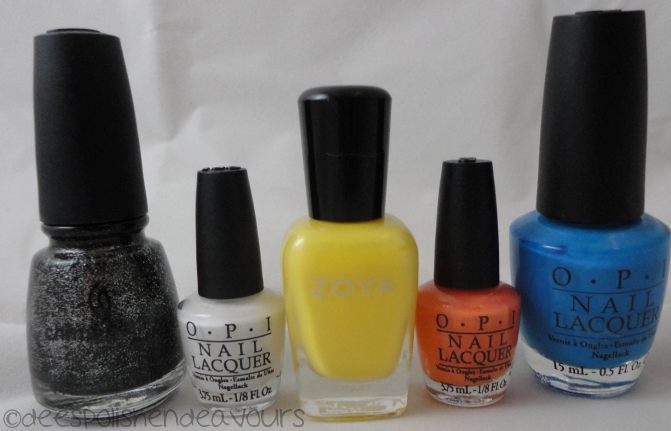 ), followed by some sponging of a mini bottle of white OPI polish, Zoya Pippa, mini orange OPI polish, & OPI Ogre-The-Top Blue. The next time I do a galaxy mani - and it will probably be sooner rather than later - I am going to try some greens and purples. 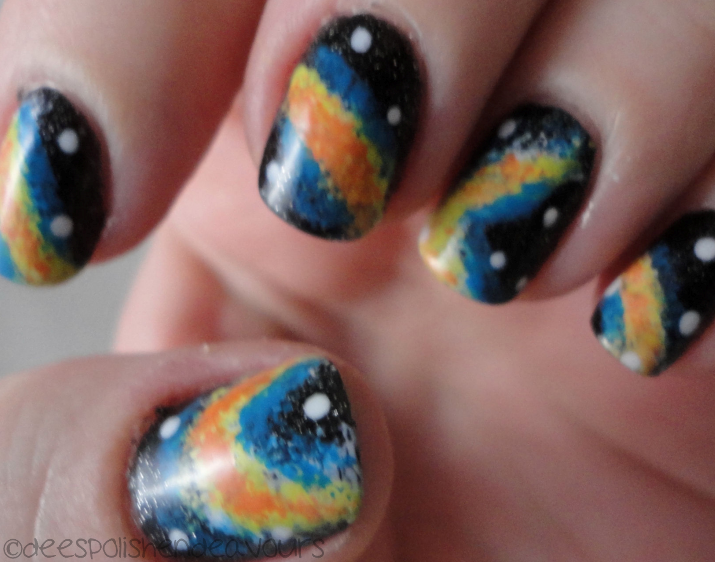 I have seen some photos using those colours and it looks amay-za-zing! Hope everyone is having a great Saturday!! I am terrified of day 20, just sayin'! 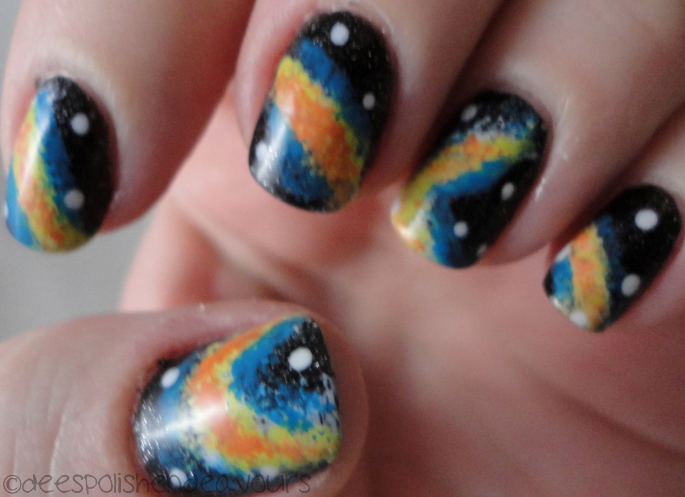 I have to agree with you I love doing the galaxy manicure. You get really pretty nails without having to be an artist, lol. These look wonderful. @Jennafroggy - There is just something about them.. And thank you! I enjoy doing this type of nail art as no matter what - it still looks alright!